A refined elegance with a hint of regal inspiration sets the Fairfield Collection in a class by itself. 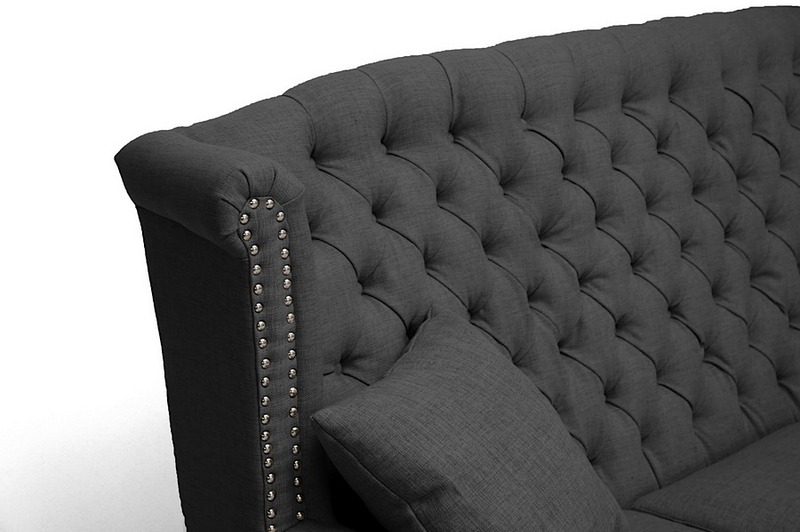 The loveseat's stately form is magnified against the light linen upholstery. 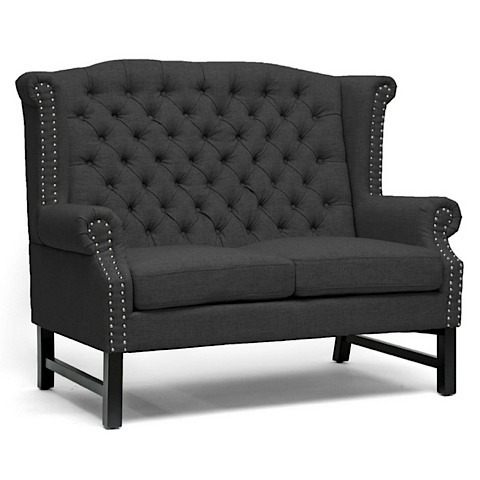 Button tufting accents the back while silver nail head trim lines the scalloped armrests and backrest. The chair is built on a birch wood frame with black legs and foam cushioning, and is available in charcoal gray or light beige. 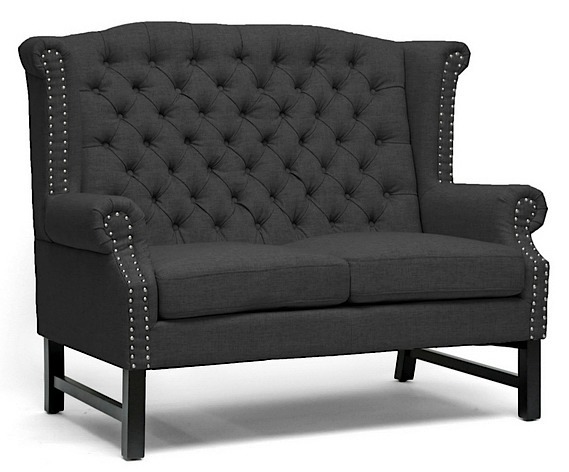 The Fairfield Linen Loveseat is ideal for elegant lounging or much deserved relaxation. 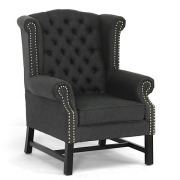 Coordinates nicely with matching club chair.